So many girls dream of being a princess, of being born in a royal family. Every Disney movie watched will always bring that wish in a girl’s mind again. We might be the princess in our families’ eyes but we all long to be a real life Royal Princess with a King and Queen for parents. Unfortunately though, we just have to push it into the deepest corners of our mind since it’s a really impossible dream to realise. The existing real life Princesses are placed above mere mortals in our hearts and minds. Admittedly, we all think of Princesses only in terms of their looks or the clothes they wear. However, there is much more to them than just being “Princesses”. Here we not only look at what kind of duties they perform as Royals but we also celebrate them as the world’s richest and wealthiest Royal Princesses. 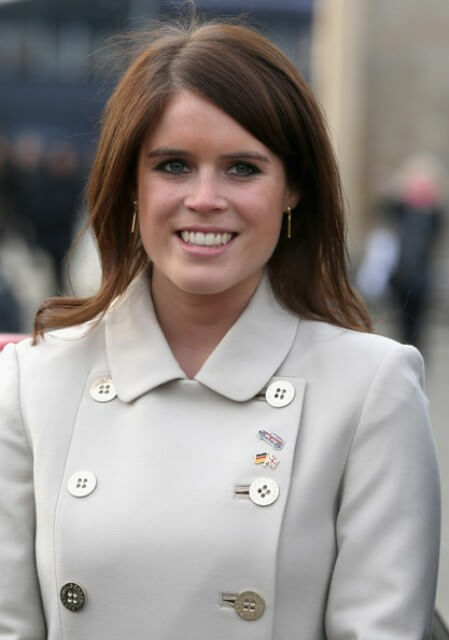 Princess Eugenie is the second and younger daughter of Prince Andrew, Duke of York and Sarah, Duchess of York. As such she is eighth (and the third female) in line to succeed her grandmother, Elizabeth II. In 2015 the Princess started working for the Hauser & Wirth Art Gallery in London as an Associate Director. Her first royal engagement involved opening a Teenage Cancer Trust’s unit for young cancer patients in Leeds on 23 October 2008. She also makes appearances with the royal family at events such as Trooping the Colour, Royal Ascot and royal garden parties. Princess Beatrice is the elder daughter of Prince Andrew, Duke of York and Sarah, Duchess of York. She is sister to Princess Eugenie and makes her the seventh in line to succeed her grandmother, Elizabeth II and the second female. Struggling with dyslexia during her own education, Princess Beatrice became involved early on with charities associated with learning difficulties including The Helen Arkell Dyslexia Centre. In April 2010, Princess Beatrice became the first member of the Royal Family to complete the London Marathon, running with friends to raise money as part of ‘Team Caterpillar’, which supported a number of charities. Her charitable work continued with a global ambassadorship for her mother’s charity, Children In Crisis, founded in 1993 with the aim of educating women and children in some of the world’s poorest countries. More recently, Princess Beatrice with six close friends — including the children of Sir Richard Branson — formed the unique philanthropic organization known as The Big Change, a charitable incubator modeled after technology startups and tasked with identifying and supporting projects that improve the lives of young people. Princess Madeleine of Sweden, Duchess of Hälsingland and Gästrikland is the second daughter and youngest child of King Carl XVI Gustaf and Queen Silvia of Sweden. She is currently sixth in the line of succession. The Princess undertakes royal duties which include the celebrations of Sweden’s National Day, the King’s and Crown Princess’s birthdays, the Nobel festivities, dinners and state visits with other members of the royal family. Her contributions to charity include co-founding the ThankYou by Childhood campaign in 2012 which works to raise awareness of the issues surrounding the sexual abuse of children and the work the World Childhood Foundation does to prevent it. She is married to British-born American financier Christopher O’Neill. Victoria, Crown Princess of Sweden, Duchess of Västergötland is the eldest child and heir apparent of King Carl XVI Gustaf. As heir apparent to the throne, Victoria is a working member of the Swedish Royal Family with her own agenda of official engagements. Victoria attends the regular Advisory Council on Foreign Affairs and the information councils with Government ministers headed by the King, and steps in as a temporary regent when needed. Victoria also takes part in the regular official dinners hosted by the King and Queen, state visits to Sweden, high level and official visits from foreign dignitaries, the opening of the Parliament, celebrations of the Swedish National Day and the annual Nobel Prize festivities. 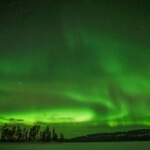 Victoria has made many official trips abroad as a representative of Sweden. Her first major official visit on her own was to Japan in 2001, where she promoted Swedish tourism, design, music, gastronomy and environmental sustainability during the “Swedish Style” event. She is married to Prince Daniel Westling, Duke of Ostergotland. She is one of only three female heirs apparent in the world – the other two being her goddaughter Catharina-Amalia, Princess of Orange, and Princess Elisabeth of Belgium. She is the second child and only daughter from the marriage of Anne, Princess Royal, and her first husband, Captain Mark Phillips. She is the second-eldest grandchild of Queen Elizabeth II and Prince Philip, Duke of Edinburgh. She holds no royal title or style and is currently 16th in line to succeed her grandmother. She is also A British equestrian and is married to ex-England rugby union player Mike Tindall. She was appointed Member of the Order of the British Empire (MBE) in the 2007 New Year Honours List (on the advice of HM Government) for her services to equestrianism. She competed in the 2012 Olympics on High Kingdom, where she won silver in the team eventing. Her medal was presented by her mother, Princess Anne. Phillips supports many charitable causes. She frequently attends various events for charity and has taken to supporting certain causes herself, mainly for spinal injuries, equestrian charities and children’s causes. In 2005, she auctioned one of her evening gowns (worn at the London premiere of the film Seabiscuit) to raise money for tsunami relief. Anne, Princess Royal, is the second child and only daughter of Queen Elizabeth II and Prince Philip, Duke of Edinburgh.is currently 12th in line of succession.As Princess Royal, Anne undertakes a number of official duties on behalf of her mother, in support of the Queen’s role as sovereign of the Commonwealth realms. She will sometimes stand in for the Queen at the funerals of foreign dignitaries (which the Queen customarily does not attend), and resides at Holyrood Palace in Edinburgh each summer, hosting engagements there. The Princess also travels abroad on behalf of the United Kingdom up to three times a year; she was the first member of the Royal Family to make an official visit to the Soviet Union when she went there as a guest of the government in 1990. 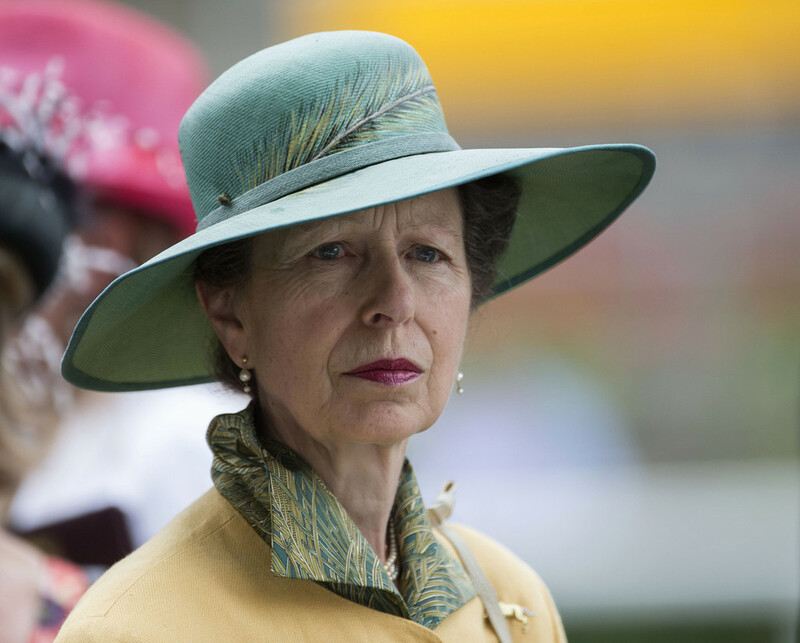 The Princess Royal carries out a full schedule of royal engagements and is involved with over 200 charities and organisations in an official capacity. She works extensively for Save the Children, of which she has been president since 1970, and she initiated The Princess Royal Trust for Carers in 1991; her work for the charity takes her all over the world, including many poverty stricken African nations.She is also the Royal Patron of WISE, an organisation that encourages young women to pursue careers in science, engineering and construction. 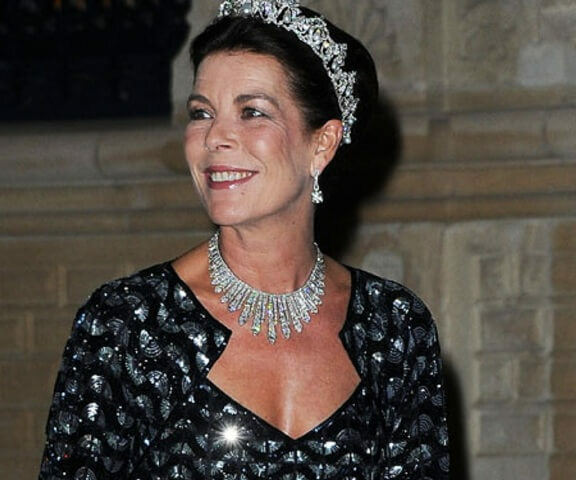 Caroline, Princess of Hanover, is the eldest child of Rainier III, Prince of Monaco, and the American actress Grace Kelly. She is the elder sister of Prince Albert II and Princess Stéphanie. Caroline is married to Ernst August, Prince of Hanover, the heir to the former throne of the Kingdom of Hanover who is her third husband. In 1979, Princess Caroline was appointed by her father as the president of the Monegasque Committee for the International Year of the Child. Two years later, in 1981, she founded her own foundation Jeune J’écoute. Other philanthropic organizations she has been involved with include the World Association of Children’s Friends (AMADE), the Princess Grace Foundation,the Prince Pierre Foundation, the Peter Le Marchant Trust and UNICEF. 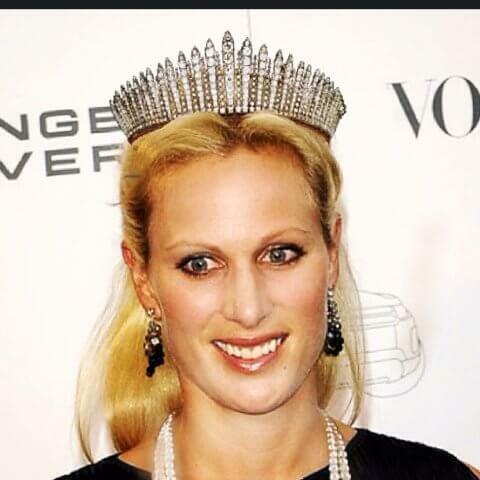 Due to her commitment to philanthropy and arts, Caroline was named a UNESCO Goodwill Ambassador on 2 December 2003. 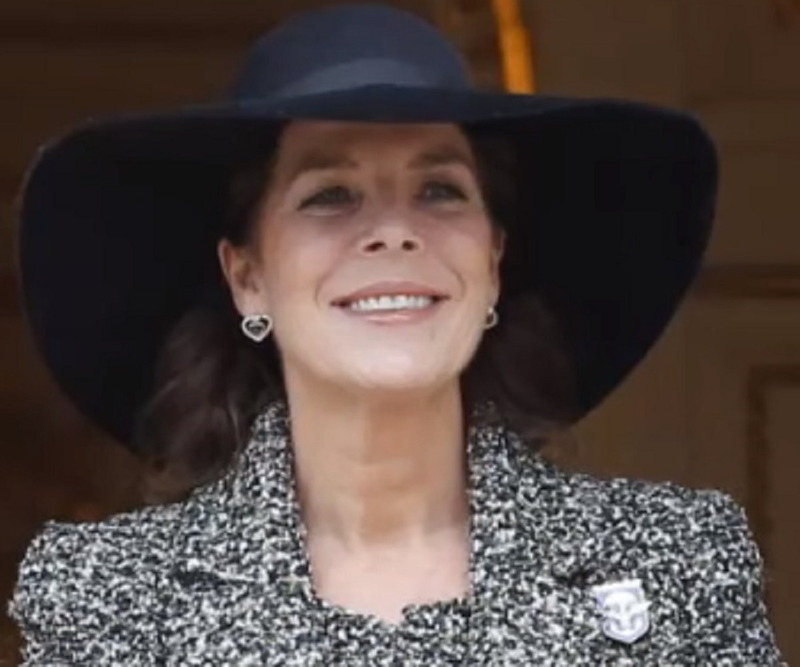 Princess Stéphanie of Monaco, Countess of Polignac is the youngest child of Rainier III, Prince of Monaco and actress Grace Kelly, and the sister of Albert II, Prince of Monaco, and Caroline, Princess of Hanover. Currently the tenth in the line of succession to the Monegasque throne, she has been a singer, swimwear designer and fashion model. In 1983, after her physical recovery from the accident which killed her mother, Stéphanie started an apprentice programme at Christian Dior under the direction of head designer Marc Bohan. Following that, she appeared as a model in various shows and appeared in cover page of various fashion magazines. In 2003, Stéphanie created her own Women Face the AIDS Association, which became Fight AIDS Monaco in 2004, in order to support people living with HIV and to combat the social stigma attached to the disease. Since 2006, Stéphanie has been a Joint United Nations Programme on HIV/AIDS (UNAIDS) ambassador. In 2010, Stéphanie inaugurated, in the presence of Prince Albert, the House of Life (French: Maison de Vie) in Carpentras, Vaucluse, France, which offers both psychological and material aid to persons living with either HIV and AIDS and their families. She got her royal title when she married Albert II Prince of Monaco in 2011. She is the only one in this list who is not a royal born. She was born in Rhodesia, currently known as Zimbabwe and her family moved to South Africa when she was 11 years old. She is a former Olympic swimmer for South Africa and represented South Africa at the 2000 Sydney Olympics, with her team finishing fifth in the 4 × 100 metre medley relay. Charlene won three gold medals and a silver medal at the 1999 All-Africa Games in Johannesburg. Earlier, she represented South Africa at the 1998 and 2002 Commonwealth Games, winning a silver medal in the 4 × 100 m medley relay in the latter competition. Her net worth comes from her success as a swimmer and marriage to the Prince. She is the princess of Thailand and the only daughter of Crown Prince Maha Vajralongkorn and Sujarinee Vivacharawongse. She was elevated to Princess Sirivannavari Nariratana by royal command of her grandfather, King Bhumibol Adulyadej, on 15 June 2005. Princess Sirivannavari has many interests in the arts and sports. She represented Thailand in badminton in 2005 at 23rd South East Asian Games in the Philippines, winning a team gold. In 2007, she was invited by Pierre Balmain, the French couturier, to present her fashion show in Paris. Her debut Paris collection was titled Presence of the Past, which drew on memories of her royal grandmother as well as giving a modern interpretation to traditional Thai costume.